Where Do You Love to Drink Beer? Have you ever noticed how every thing, and every situation, is so much better with a beer? It’s like the cherry on top of a banana split or a hot fudge sundae. Whether you’re on a hike, on a bike, or on a plane, beer is great for any occasion, time, or place. It’s easy to see why beer is always one of the main staples of any event or occasion, as beer is also one of the greatest creations humans have ever been graced with. Beer is always appropriate, but it pairs especially well with the following places. But really, who goes out for a lake day with anything less than 50 of the finest quality beers? Boating without beer is simply sitting in water, which we all know is much less fun. In fact, one of the most harmonious relationships is the symbiotic one that exists between sunshine, beer, and open water. Just be sure to have a sober boat driver, and maybe lay off the water sports for a bit just to be safe. Did we not mention that drinking beer while hiking is awesome? Well it is. So maybe it takes a little longer to get to the top, but hey, that just means more time spent in the beauty that is the Rocky Mountains, and what could be better than that? Just make sure you have a beer to crack as a reward for making it to the top. As we said before, sunshine, water, and beer go together better than nearly anything ever, and the pool is no exception. It’s weird to think that there are people that go to the pool without any beer with them at all. Is that really a thing? These people should be avoided at all costs. or breakfast and/or lunch.. it really doesn’t matter because all beers have a food counterpart and it’s up to you to be the Cupid that brings this beautiful couple together. Ever hear of beermosas with a hearty steak and eggs? No? Then it’s time to order it at your favorite restaurant and discover your new love. Whether it’s breakfast, lunch or dinner, beer is always a necessary addition to any meal. What’s better than taking a break from the sun while drinking a refreshing brewski? Take a break from your yard work and reward yourself with a delicious craft beer from your favorite brewery. Beers are only made better with a splash of sunshine and a nice summer breeze, making patio beer our favorite beer of the summer. Patio season only lasts so long, so it’s important that you utilize the season as much as possible by drinking as many craft beers, on as many patios, as possible. Whether it’s your own office at home or you have the privilege of working a great job that believes in the power of the desk beer, cracking a can of your favorite brew while you’re trying to get some stressful work done is one of the best ways to maintain your sanity. It’s true. In fact, studies show that allowing your staff to drink on the job increases productivity by 70 percent. Just kidding, we made that up, but we happen to know that working with a beer at your desk does make tedious tasks more enjoyable. While drinking beers in these places is amazing, none of them hold a candle to our craft brewery. Not only do we offer delicious craft beer, but we’re also a full restaurant with a full menu and a full bar. We have something for everyone, including lunch specials, happy hour, and a patio. 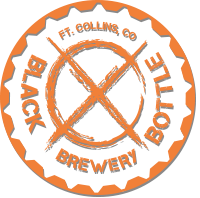 Come visit your favorite brewery in Fort Collins for the best beer drinking experience this side of the Mississippi.